SPECIFIC EXCHANGE CONDITIONS Every incoming student must inform LEO if skipping the hospital in order to avoid problems regarding to boarding. 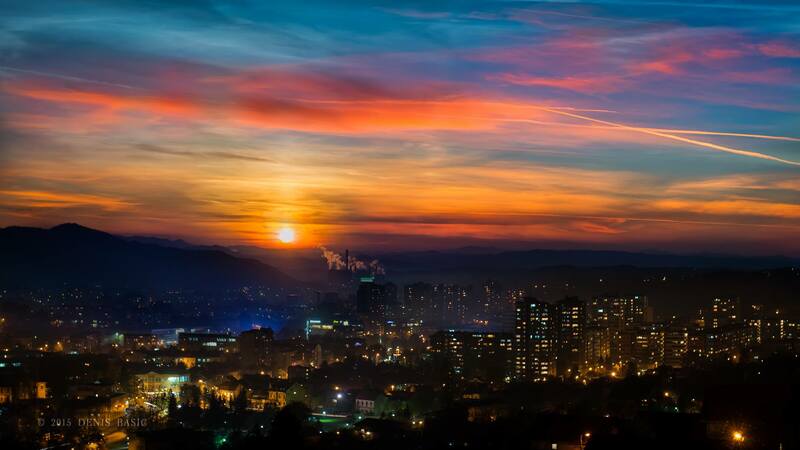 Tuzla is the third largest city in Bosnia and Herzegovina, after Sarajevo and Banja Luka. It represents the economic, scientific, cultural, educational, health and tourist centre of northeast Bosnia. Tuzla is an educational center and home to two universities. It is also the main industrial machine and one of the leading economic strongholds of Bosnia. The city of Tuzla is home to Europe's only salt lake as part of its central park and has more than 100,000 people visiting the whole complex every year. Thermal power plant is located at the west entrance in our town. It is the largest power plant in the country and it supplies the whole Bosnia and Herzegovina as well as some parts of the region. The history of the city goes back to the 9th century; modern Tuzla dates back to 1510. when it became an important garrison town in the Ottoman Empire. In Bosnia and Herzegovina, Tuzla is also regarded as one of the most multicultural cites in the country and has managed to keep the pluralist character of the city throughout the Bosnian war for independence and after, with Bosniaks, Serbs, Croats and a small minority of Bosnian Jews residing in the city. University of Tuzla is a public university located in the city of Tuzla, Bosnia and Herzegovina. The university was founded in 1958. It became a proper university in 1976, and today is one of the major institutions of higher learning in Bosnia and Herzegovina. As part of this University there are 13 Faculties: Academy of Drama, Faculty of Law, Faculty of Education and Rehabilitation, Faculty of Economics, Faculty of Electrical Engineering, Faculty of Mechanical Engineering, Faculty of Chemical Engineering and Biotechnology, Faculty of Mining, Geology and Civil Engineering, Faculty of Medicine (six year study), Faculty of Natural Sciences and Mathematics, Faculty of Philosophy, Faculty of Pharmacy and Faculty of Physical Education and Sport. 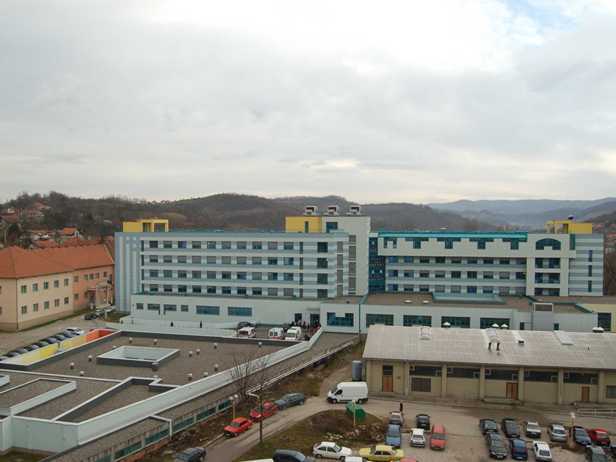 University Clinical Center Tuzla spreads on the 60 000 square meters of space and four different locations. The main complex is Gradina with several objects including clinics, institutes, board, administration and technical support. The rest are located in Kreka, Slavinovici and Solina. UCC is made of 38 organizational units, including 19 clinics, 2 polyclinics, 2 institutes, center of palliative care, IR, hospital pharmacy, 7 sectors and 5 services. University Clinical Center is highly valued because of succes s and progress in the field of transplantation medicine. Center is, officially, a verified institution for typing, explantation and transplantation of tissues and organs. Today our doctors performe renal transplantation, liver and cornea, allogeneic and autologous stem cell transplantation - bone marrow, liver and kidney transplants from living donors. Soon to be announced more. Incomings will have one meal per day provided at the hospital. Student dormitory complex is built in 1959. and restaurated several times since then. It is made out of three pavilions and a restaurant building. Bed capacity is 480 and our canteen serves about 1500 meals a day. It is located about 3 kilometres from hospital, linked with very good bus service. Every pavilion has its own library and a student club. 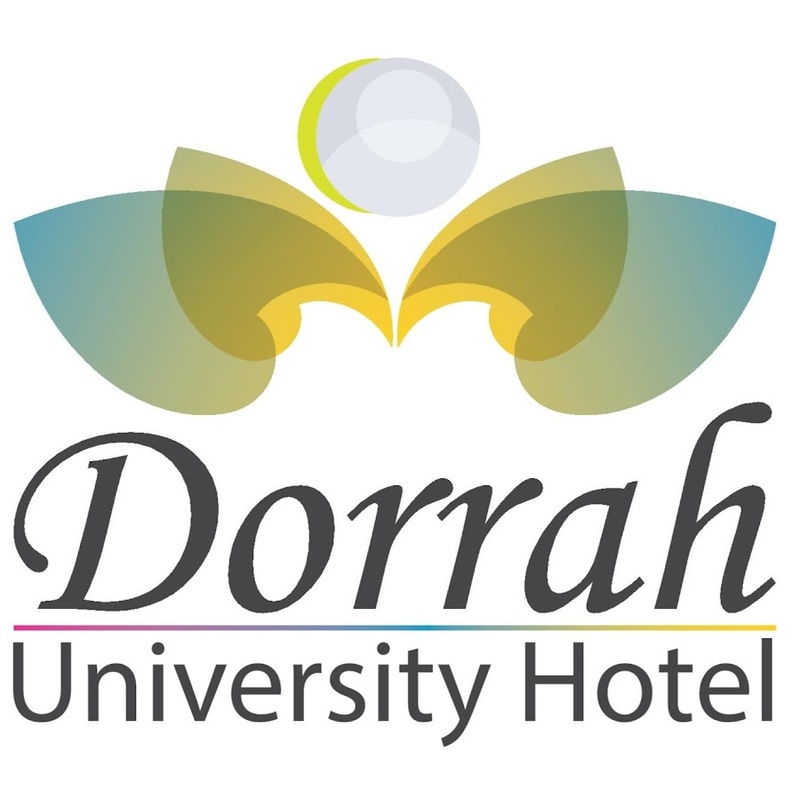 Student dormitory for female students Dorrah is located at the west side of our town. It is brand new and arguably the most modern student dormitory in our country. It is opposite of the largest Bingo mall in Bosnia and Herzegovina, 1 kilometer far from University street where are most of our faculties located. Bed capacity is 58 double rooms, 2 triple rooms and 1 deluxe suit. Every room has its own bathroom with shower, wi-fi, TV, air conditioning and heating system, electrical tea pot, individual studying space and armored doors. The whole complex is covered with video security system. Center also has fitness club, laudry room, several libraries and studying spaces, up to date restaurant where you can choose your own meals. Tuzla Intl Airport offers nonstop flights to 10 cities. Every week, at least 35 international flights depart from Tuzla Intl Airport. Tuzla has a good connection with other cities from Bosnia and Herzegovina, as well as good International bus lines. Taxi service is quite cheap, lot cheaper than the one in Sarajevo. One direction ride costs only a 0,75 euros. Bus service is very developed and recently modernized. City ride costs only a 0,5 euros. Tuzla is the city of the great literary tradition. Mesa Selimovic (1910 - 1982), one of the greatest writers of Southeast Europe, was born in Tuzla, as well as Dervis Susic, Stjepan Matijevic, Matija Divkovic and Muhamed Hevai Uskufi (writer of the first Bosnian vocabulary - the oldest Slavic vocabulary). Tuzla encouraged first professional Bosnian painters, Djordje Mihajlovic (Academy in Munich) and Adela Ber (Academy of Vienna). 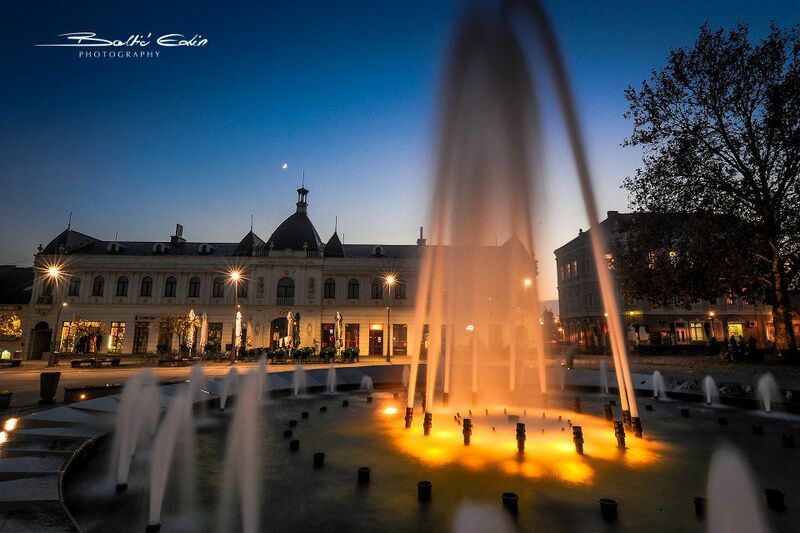 In the middle of the third decade of the last century in the artistic life, spotlight included Franjo Leder, Ismet Mujezinovic and Dragisa Trifkovic, whose work becomes a dominant factor in the spirituality of the city. Tuzla encouraged James Haim Pinto, one of the leading US-Mexican muralists, and Christian Krekovic, a famous Peruvian painter. Art historians as a significant occurrence of the artistic life of Tuzla allocate work of Mensur Dervisevic. International Portrait Gallery in Tuzla was founded in 1964. Today, Tuzla with one of the largest gallery of portraits in the Balkans, is an important city for art. For ten years now, Tuzla hosts the Association of Artists of Tuzla Canton - ULUTK that in December of 2006 marked 10 years since its inception, with more than 50 members; as well as the Association of Young authors from Tuzla. It is assumed that the first library existed in the 17th century, including Behrambeg's madrasah and Franciscan monasteries. Today's National and University Library serves about 100,000 customers, and has over 200,000 library items. Museum of Eastern Bosnia owns archeological, ethnological, historical, biological, numismatic and art collection. Among the 50,000 exhibits are preserved traces of continuity of 6,500 years of living in Tuzla region. Museum of salt production within Solana, heritages photographic documentation about the history of salt production. On the 17th of April 1898., Tuzla established the first Bosnian-Herzegovinian theater. Currently in our town, there are two institutions whose primary activity of theater projects. National Theatre Tuzla is continuously working since March 1949. In the 1960s, under the roof of this house simultaneously worked pioneers in theater, ballet school and symphonic orchestra. The journal "Theater", as a single theater magazine in Bosnia and Herzegovina, was launched in 1953. Other theater house is the Theatre Cabaret Tuzla, which was created at the World Theatre Day, 27 March 2002. Taking after its organizational and programmatic concept, this is a chamber theater and modern theater mechanism. A special place in the production and repertoire profiling Theatre Cabaret Festival takes TKT Fest, which is organized every 27 March since 2003. Tuzla hosts annual Tuzla Film Festival since 2012. The festival highlights films from the former Yugoslavia and and young artists. Tuzla has two cinemas: Cinema Kaleidoskop which operates under organization 'Youth of Tuzla' and Cinestar multiplex in the new-opened Bingo City Center. The complex of Pannonian lakes, the only saltwater lake in Europe, with its tourism activity (attractiveness, cleanliness of water and environment, good and cheap services, locations, a large number of visitors) exerted a strong influence on the decision about the award of the Municipality of Tuzla in the selection of the best tourist city in Bosnia and Herzegovina. Salt lakes are artificial accumulation of water inside the shells that are constructed from a combination of geosynthetic and natural materials (geotextiles, geogrids and geomembranes in combination with sand, gravel and pebbles). The first lake's water surface of 1,014 ha (10,140 m²), a maximum depth of 1.6 m., Length of about 180m, the maximum width of about 80m, the amount of water from 13,000 to 15,000 m³ of water surface elevation of 227,40m. Another lake is the water surface of 0,530 ha (5.300m²), a depth of 1,35-1,6m. the amount of water from 6.000- 7.000 m³., the scope of cca.320 m.
Third Lake is an area of 1.7 ha of water surface of 3,850 m2 and a water volume of 5,600 m³, lake depth of 80cm. up to 180 cm and shell dimensions 40.0 x 105.0 m. Third Pannonian lake is designed in the form of two small lakes and connected with cascade and it offers a lot of adrenaline fun with two water slides, two hydro-massage (duck's beak) and water geyser. Salted waterfalls are a special attraction to the complex, five water cascades and two swimming pools with inhaled fumes of salt water are conducive to the relaxation of stress, respiratory diseases, headaches and general improvement in health.